Focus POS enables staff to provide quick and efficient services to customer, delivering an experience that matches your brand promise and builds customer loyalty. 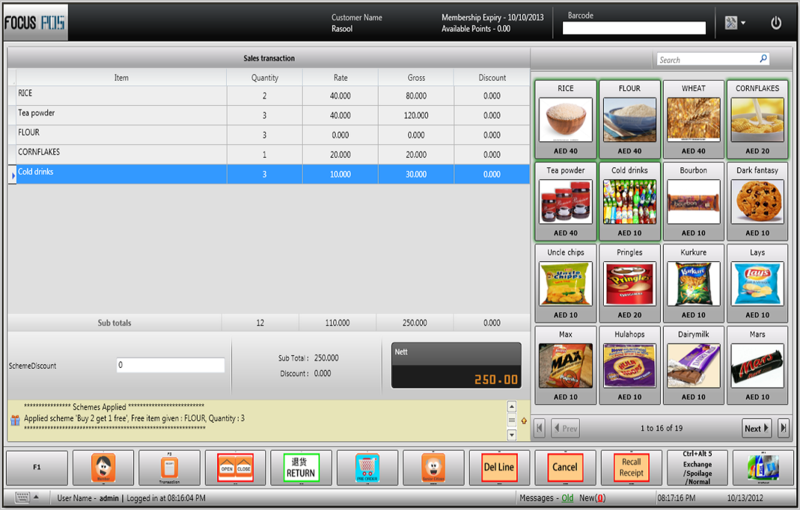 This Retail Management solution is designed to optimize store performance and increase productivity. Some of the modules include: Dashboard, Sales, Pre-Order, Customer Tracking, Kitting / De-Kitting, Discount Management, Schemes & Loyalty Programs, Membership Rewards, Multiple Security Levels, Inventory Management, Multi-Currency & Multi-Method Payments and Multi-Server Synchronization.